I have been thinking about this show and topic for weeks now. Each day I met with clients who are struggling with weight loss and beating themselves up about it. Yesterday I met a women who even declared herself a “sugar addict”. 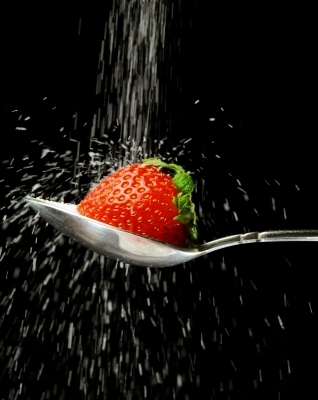 She described these feeling of uncontrolled urges, and an inability to stop once she has too much sugar. I thought about her all day yesterday. Was her desire to gorge on sugar a trained behavior or emotional eating response? Could this women have a true “addiction” to sugar? 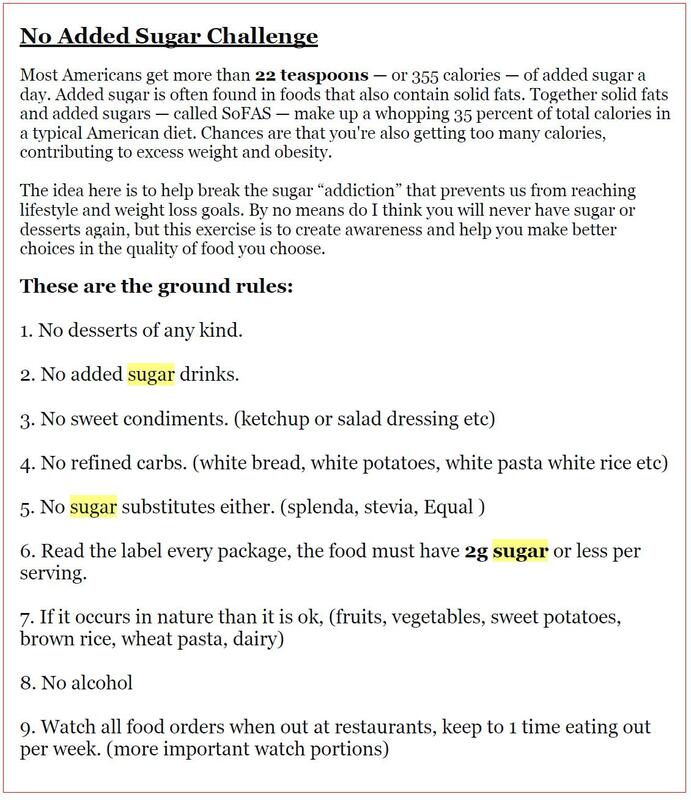 Lo and behold when I woke up this morning the headlines screamed this: “UCSF scientists declare war on sugar in food”! The debate is on! At the beginning of my career as a dietitian if you asked me “Can you be addicted to food?”; I would have said absolutely not! Food choice is all about willpower and behavior! 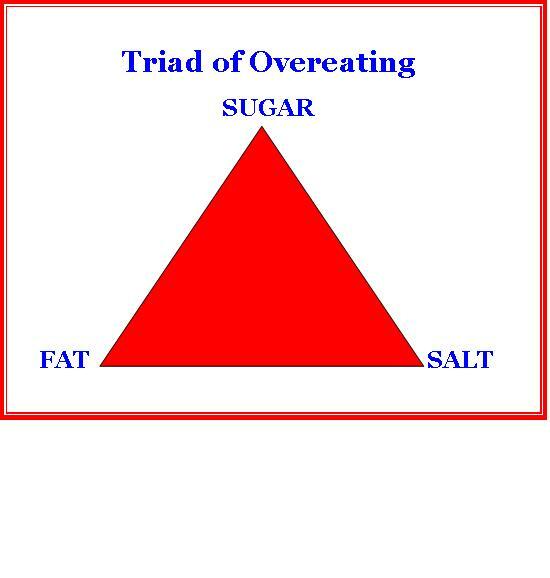 However in 2009 I read an article in one of my favorite newsletters (Nutrition Action Health Letter) called Why We Overeat by Dr. David A. Kessler. This article hit home for me and opened my eyes to the idea that there are perhaps “chemical or biological” cues that may drive some of our food choices and lead us to overeat. Behavior or Addiction? Which is it? Whether you feel you are addicted to sugar or feel your eating issues was due to behaviors you learned from your childhood, that doesn’t matter right now to me. What does matter is I know you and I eat way too much sugar and it is affecting our weight and health! Most Americans get more than 22 teaspoons — or 355 calories — of added sugar a day. There are the obvious places like candy, soda, cookies and white products (white bread, rice, pasta). 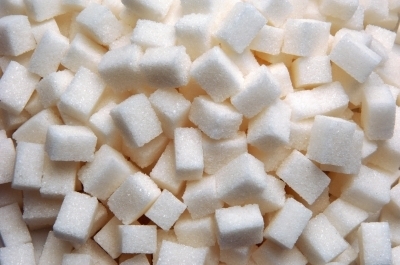 But sugar can be lurking in foods that we consider “healthy” like wheat breads, salad dressing and yogurts. I use an awareness exercise with my Wellness Groups that really hits home! It is known as the No Added Sugar Challenge. When I first did this exercise/challenge along side one of my groups, I lost 5 pounds and found there was lots of hidden sugar in my day to day “healthy” food choices. This exercise opened up my eyes and clients’ to all the hidden sugar in ours diets that could be affecting our health and weight! My challenge for you is to follow the No Added Sugar Challenge for 2 weeks! Observe how good you feel, eating whole, unprocessed foods. See what happens to your weight. You might even be surprise how much hidden sugar is in the food you eat and start to make some new food choices! By no means do I think you will never have sugar or desserts again. This exercise is to create awareness and help you make better choices in the quality of food products you bring into your home and put into your body. Good luck and let us know how it goes!! This entry was posted in Beverages, Hunger, Mindful Eating, Snacking and tagged Addiction, Behavior, Dr. Oz, food choices, Mindless Eating, No Added Sugar Challenge, Nutrition Action Health Letter, Snacking, Sugar, weight health, Weight loss. Bookmark the permalink. 14 Responses to Are You a Food Addict? I ask myself the same questions all the time. Whenever I have sweet/salty like chocolate covered pretzels… I can’t seem to stop and always finish the bag, is that my brain or my behavior? I think is has to be both! Yeah so true, that’s why I struggle so much with this food addict idea. If you look at the science of insulin you will see that sugar is addictive. Don’t forget that carbs turn to sugar in your body and have the same results. Great comment Jennifer, the science I think is there, obviously as seen by your point about insulin. , There is a part of my training where I still have to look at the behavior aspect, and that is where I can struggle. So, is a “habit” addictive or behavioral?? I think it’s both but does it matter?? If the goal is “kicking the habit”, wouldn’t identifying a substitute and making that a good habit (and a replacement for the bad) be more effective than just going “cold turkey” and suffering “withdrawal”?? Shouldn’t that be a component of your Challenge?? Some things which have become good habits for me: walking; gym workouts; fresh fruits and healthy greens like kale, Swiss chard and arugula. This is more of an awareness exercise that we use in our wellness group, it open up people eyes to how much added sugar is in their diet. The expectations is not that you will never have added sugar, but it helps many people get on track and gives them something to focus on to ultimately reaching lifestyle goals. Also when you do this you feel fantastic, it really reinforces how healthy eating can make you feel better in such a short period of time. I LOVE that you broke down how to go off sugar. I know it seems so simple, but with it in practically Everything, it can seem overwhelming – and I’ve never known how much sugar per serving was supposed to be acceptable! Huh. Looks like I’ll be eating more oatmeal and less Frosted Mini Wheats from here on out! I took a good look at the label this morning after your posting, and realized that it almost maxed me out on sugar for the day in one serving. Hey! I just came across your site last night. For the no sugar challenge, what are your thoughts about adding honey or pure maple syrup to foods like oatmeal, greek yogurt or anything else that you would normally add a sugar to sweeten it up. A touch of sugar or honey is fine to do because you can control how much you add. I often suggested pt start with doing that and slowly use less and less. You will be surprised how quickly you taste buds can adjust!